Three more booths done ! I just LOVE spiffing up for SPRING. Lots of goodies arriving from the mart... Last year we only got about half of what we ordered. Hoping to have better luck this year. I love to see the UPS man ! A Spring Transformation... Working on a new SPRING BOOTH ! It takes time to get from Bud to Full Bloom ! No Winter Blah's here...Just lots of SCURRYING and SCAMPERING into SPRING. Valentine's Day is coming QUICKLY....Be sure to tell your Special Someone how WONDERFUL they are ! We have some EXCITING news, last week our sweet Cristy married her HERO Bobb ! We are so thrilled, they could not be more perfect for each other. LOVE is truly in the air ! Thinking SPRING...Open House that is. Busy planning our Spring Open House , It will be here before we know it ! 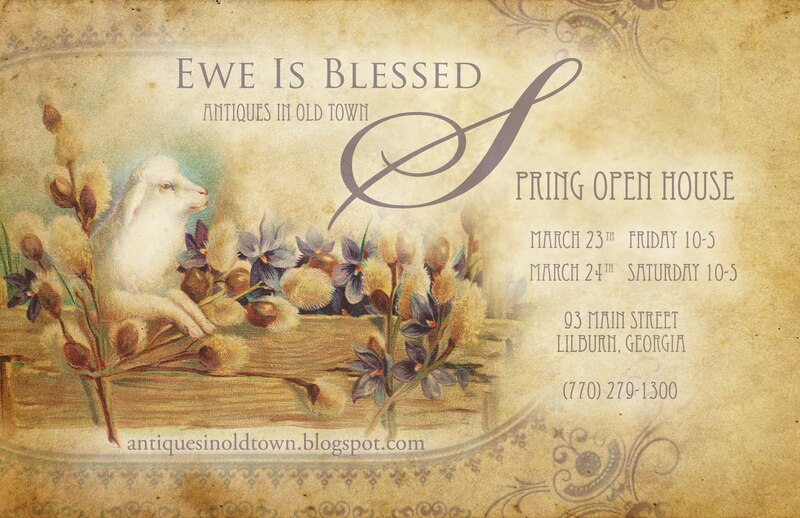 Save March 23rd and 24th on your calendars.... 10:00 to 5:00 both days. 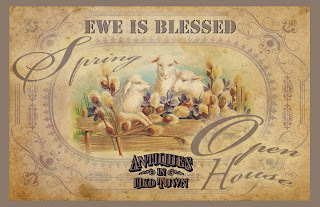 I want to give a SPECIAL THANKS to Robin Ewing for designing our Amazing Open House Card ! God has BLESSED her with so much talent !